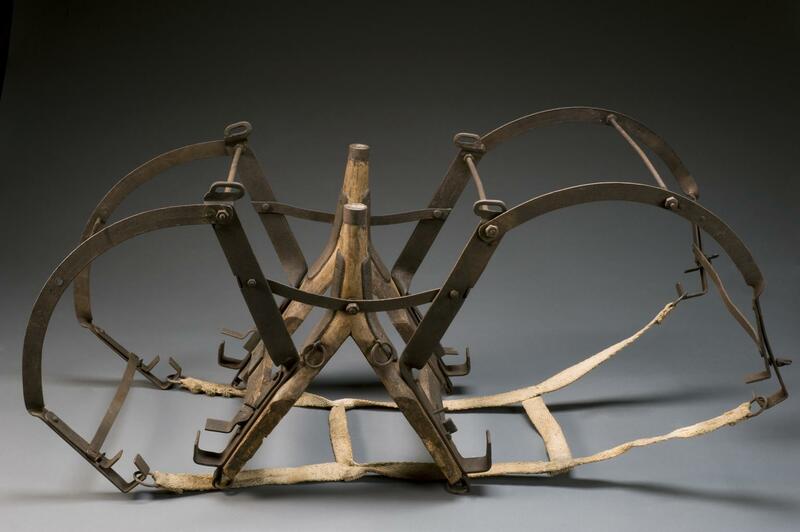 Packhorse stretcher carrier, first World War. Full 3/4 view, graduated grey background. Packhorse stretcher carrier, first World War. Full fontal view, graduated grey background. 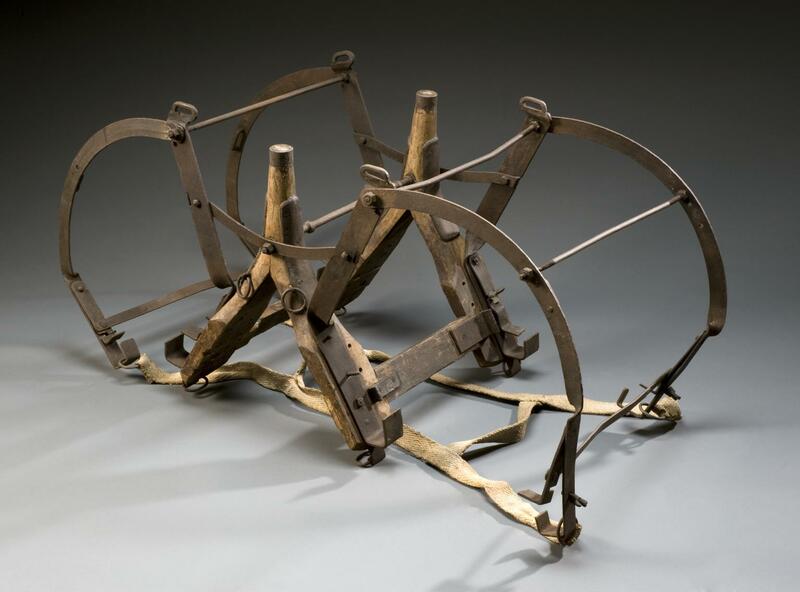 Packhorse stretcher carriers enabled two wounded soldiers to be transported at any one time during the First World War. The stretcher carrier was secured onto a horse like a saddle. Stretcher bearers lifted the stretcher onto the metal supports. 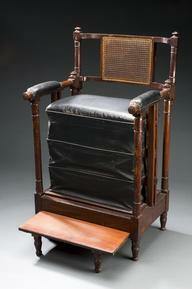 The hinged cage-like apparatus was lowered and stopped the wounded man falling from his stretcher. He was then transported to a field hospital for treatment. These were used with the motorised convoy of ambulances that arrived in France in 1914.